Hong Kong is one of only six cities in the world which plays host to a Disney theme park. Together with locally created Ocean Park this is one of only two places for a theme park experience in Hong Kong. Many visitors from countries without a Disney presence find the attraction of the mouse-ear’ed park to be irresistible. 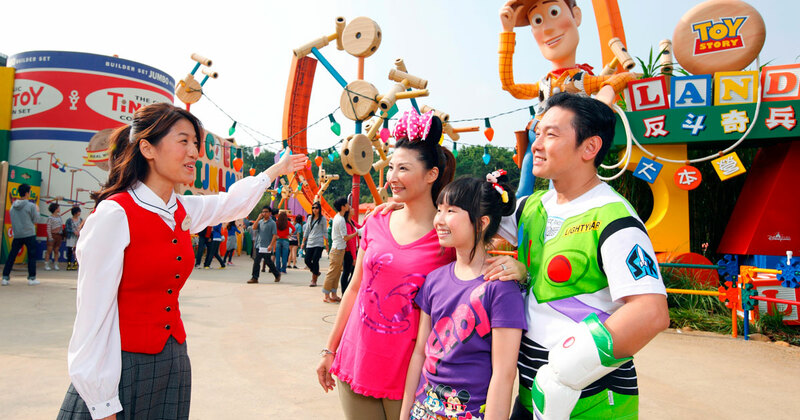 You will find visitors from all around Asia eagerly looking forward to their visit to Disney as you travel to the park. 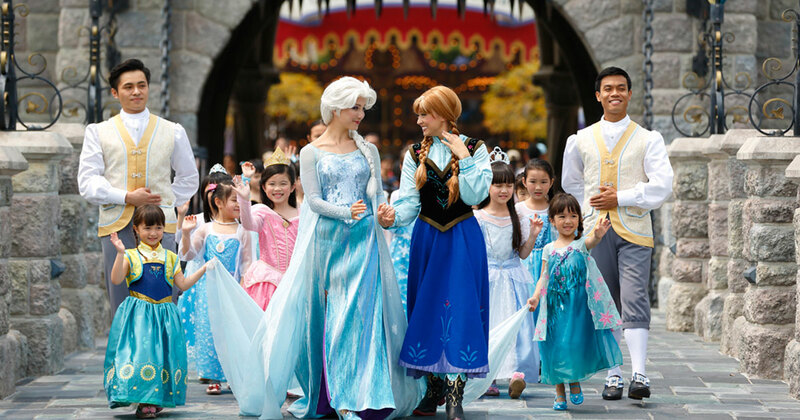 Although there is another Disneyland in China, just outside Shanghai, it is also true that plenty of visitors from other parts of China take time to visit the park in HK. If you are also visiting the park in Shanghai then read also this guide to Shanghai Disneyland for some great tips. Situated on Lantau at Sunny Bay the park is well connected to the city by rail and road and, despite the distance, can be visited in conjunction with one of the other attractions of Hong Kong within a day if you schedule your time carefully. For those who are more keen to get a full Disney experience, there are hotel options located next to the park. Visiting Disneyland is an experience, and if you have kids then building up those memories of great experiences is one of those things we as parents can do for our kids. As Moment Mum says “Fill your life with experiences. Have stories to tell, not stuff to show.”! 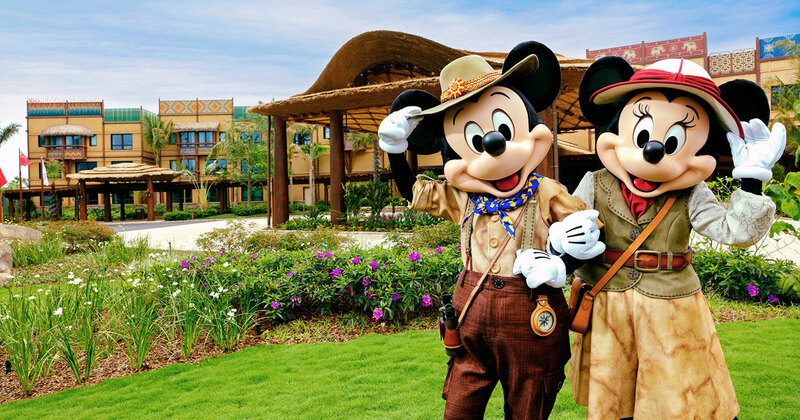 While it would be possible to stay in a Disney hotel and also visit other parts of Hong Kong that might be an inefficient way to use your time. Try instead staying a night or two in a Disney hotel, then moving into the city, or visa versa. With the Park and the whole resort area being so big there is a mass of things to know about. To make it a little easier to read this article it is broken up into sections. Read the content list below to find the information you need! 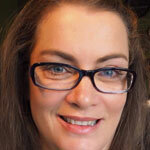 Ingred of fabulousandfunlife.com.au My top tip for Disneyland Hong Kong is to arrive EARLY! People in Hong Kong seem to rise late in comparison so if you arrive at Disneyland when it opens at 10 am you can avoid crowds and queues for rides for the first two hours or so. This is extremely helpful if you have young children with you. There is a halal restaurant with a prayer room that can be used by any park guest who needs it, not just restaurant customers. If you are a Muslim then you may have noticed that there is not a great variety of Halal food in Hong Kong in general. You’ll be pleased to know that there are enough visitors to the park that are Islamic for Disney to cater specifically to your needs. Two restaurants at the park are certified as Halal by the Hong Kong Islamic Community Fund. The first is the Tahitian Terrace in Adventureland which serves Indian vegetarian and South Asian specialities. Secondly, you can go to the Explorer’s Club Restaurant in Mystic Point. You’ll find food here from Indonesia, Korea and Japan. The Main Street Market outdoor food cart was also certified Halal but is no longer promoted as such by Disney so please check with them first before ordering. You can also get halal dishes from some of the hotel restaurants but for those, you’ll need to especially request them. There is a prayer room next to the Explorer’s Club as well. Yes, that’s right, the scourage of the decade has been banned in Disneyland. You won’t see anybody waving long metal sticks around and accidentally poking people in the eye! You can still take selfies, but you’ll have to use your hand to hold them. If you have a selfie stick with you then the stick should stay in your bag at all times if you don’t want to be told off by the cast members at Disney. Thinking of bags you might want to have a day bag to hold most of your stuff but also a waist bag or “fanny pack” to hold things like wallet and passport when you go onto rides. Try this nice Disneyesque fanny pack designed specifically for a Disneyland visit. And buns can be decorated with Star Wars motifs. Want to eat a Disney character? You can buy waffles on the Main Street which are cooked in a waffle pan which is shaped like Mickey’s head. The waffles come in either a plain or apple various and are served in a mickey head shaped disposable dish with plenty of cream! When you order one make sure to say whether you want a plain or an Apple or you’ll just get a plain. The Apple ones are much tastier! Unless you don’t like apples of course. The best way to reach the park is via train, and while the trains themselves are run by the MTR those that are on the Sunny Bay line have been customised for the Disney experience. The trains don’t go anywhere else really so you can be sure that any passenger on the Sunny Bay line will be going to the resort. That would mean the park itself or maybe a Disney hotel, so passengers will be pleased to see that the whole train is subtly Mickey themed. The Sunny Bay station is very futuristic, at least a Disney style cartoon of futuristic. Then into the trains and you’ll really start to feel as though you are on the way to the Mouse Kingdom. First of all the windows are shaped into the classic Mickey outline with ears! Inside the train the seats are not like other MTR trains but feel more like a park ride with crescent moon curved blue benches, and handholds once again in the Mickey outline shape. Statutes of Disney characters such as Donald Duck are on board as well, though they are encased in protective glass tubes like museum exhibits. Which is good, because there are no drivers on these trains! Like the South Island line of the MTR they are automated people movers, and though there is a seat for a driver most of the time it is empty. While the ceiling of the train is a night sky filled with stars. Finally, the windows allow you to look directly out the front and back of the train, admittedly past a control room so the view isn’t perfect, but still impressive compared to other MTR trains. When you arrive at the Disneyland Resort Station it is a prettily themed station with the classic “main-street” styling all the way through, combined with some MTR branding, giving it a cartoon version of a Victorian historic look. Get a deal on your eating by buying advance tickets for food from online vendors such as Klook. The electronic coupon is delivered via email and then the QR code on your phone has to be scanned before you enter the park to receive the paper meal vouchers. A typical deal includes a main meal from a restaurant and a snack from a “street vendor”. Remember that you can’t take food from outside the park into Disneyland, though the staff at the entrance are generally lenient about this rule and won’t mind if you have a bag of potato crisps or a banana in your bag. Taking a full picnic in with you would not be ok though. 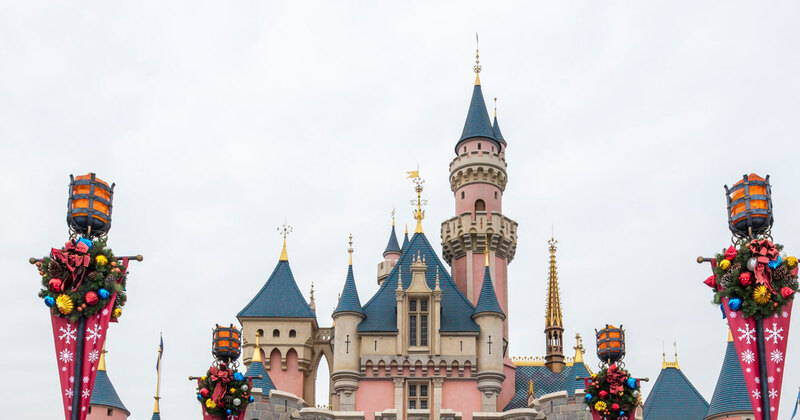 You will often read that the Hong Kong Disneyland park is much smaller than the other Disney parks around the world, and while entirely true you should consider that this has both good and bad sides. On the one hand, there are somewhat fewer things to see, but on the other, you spend a lot less time walking from place to place. A lot of the things you might see are simply positioned closer together than in other parks. And the Adventureland “land” is actually the largest Adventureland of any of the other parks. It is worth remembering that while major Disneyland parks in the USA are part of large complexes that include things like EPCOT. Compare this with the Disneyland in HK which is is just Disneyland. Well, Disneyland and some hotels. And some public park areas you probably won’t visit.. If you get to the entrance gates before the 10:30 official opening of the park you can still go in. Visitors are allowed into the Main Street area starting at 10:00 even though the rides and attractions haven’t opened. If you get to the gates at 9:45 you’ll be one of the first into the park and enjoy some time walking around shops, some of them will open at this time. The staff and characters will be preparing for the opening ceremony and you can see them as they first arrive. At 10:30 the opening “rope drop” will be held and you can go into the next area of the park. Some of the rides don’t open until 11:00 but those that do open will have no queues for that first half to one hour. Therefore the time from 10:30 to 11:00 is a great time to try a ride without waiting. A lot of sightseeing attractions have apps these days. But unlike some which are rather useless the Hong Kong Disneyland App actually is worth installing. The waiting times for the rides can be found in the app and that’s a great plus when it comes to strategically planning your day. Some rides have very short waiting times during some weekdays, but don’t expect to get through quickly during weekends when everything is busy and 45 minute wait times are normal. The app also shows where characters can be found for photos, but even knowing where they are you will still have waits for your turn for a selfie with most characters. Your best chance to avoid the wait for rides is to get to them early, as soon as the park opens, but for character meet and greets you might want to wait until later when most people have already had their selfie’s with Mickey and co, or catch them in one of the restaurants when they visit at meal times. 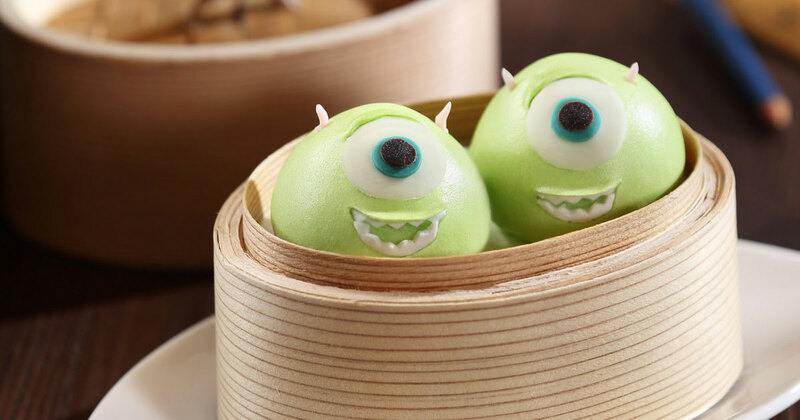 Dim-sum has come a long way recently and modern designs with little faces and cute animals are not uncommon in Hong Kong, but Disney has taken it to a whole new level. 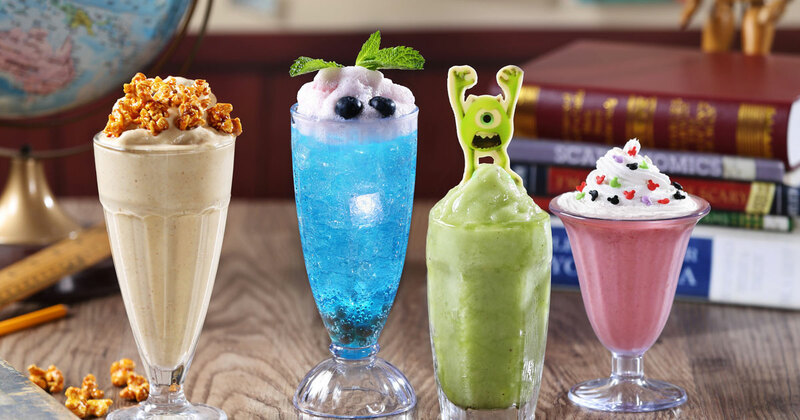 Want to chow down on a snowman from Frozen, a character from Monster, Inc., or a little three-eyed alien from Toy Story? This is your chance! You have to book in advance, not just reserve a table but order your Disney dim sum as well. But at the Jade Lotus restaurant in the Disney Hotel, you can have a range of dim sum shaped into Disney characters. There are carnival style games where you can play a game and win a prize. Everybody gets at least some stickers! But the winners will receive small stuffed animals and similar novelties. Not every ride has a “Fastpass”, and the priority passes you get from the hotels as a hotel guest don’t work everywhere, but when you do want to go to the Iron Man experience you’ll find the fastpass really helps to cut down the queuing time. 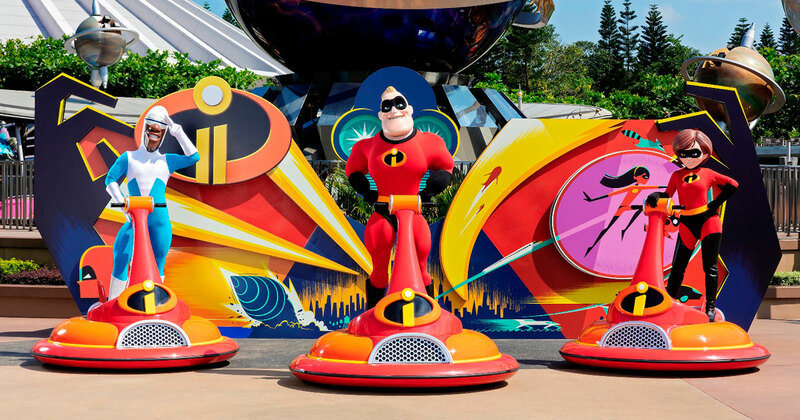 If you haven’t used Disney Fast Passes before then the idea is that it puts you into a queue for a particular time slot, so you can get the pass and then walk around doing other things and come back at the allotted time. There will still be a queue of other people with fast passes, but that line will be a lot shorter as they stop issuing the passes when a certain number have been issued. A different experience to the Haunted Mansion that is found in the other Disney properties this one focuses more on awe and surprise without the ghostly element. You’ll find the little shop of horrors plants here as well as headless suits of armour and magical winds as you ride round on the little train. If you have some smaller kids who haven’t been to a rock concern then they may find the show unreasonably loud. The amplification of the singing is massive and overwhelming for babies. Now that Star Wars is a Disney property you won’t be surprised to find the images of Darth Vader and Jedi knights everywhere. So just sightsee. Or choose a Darth Vader tart from the bakery with the helmet image decorated onto it. Darth Vader also makes an appearance as the white chocolate head of a drink stirrer if you feel like drowning the Dark Lord of the Sith in drinking chocolate! There are plenty of light sabres and Jedi around of course for those who want to be on the light side of the force. Pose with a stormtrooper for a selfie! Although the fireworks closing show is hasn’t been running since 2017, because it came from the castle and that is under renovation, there is still plenty to see all the way until closing time. The last parade is at 8:00 and has a cast of colourful and illuminated characters and float with music and dance. It is a great way to end the day on a high note! After the parade has passed everybody relaxes and as the crowd slowly makes its way towards the exits and you grab a last Mickey Waffle or Star Wars hot chocolate it is time to reflect on a very different day in Hong Kong! Every staff member has a pocket full of stickers that they will hand out to people who ask for them. Go ahead and ask! If you don’t have kids then you’ll find that half a day is enough to hit the highlights of HK Disneyland. You might want to spend a whole day if you have children, but don’t bother with a two day pass unless you are real fans of Disney and are determined to visit every single ride and attraction. That does cause a problem if you want to both take advantage of early opening, and also stay till the end of the day. Kids will enjoy the early start probably more, but it may depend on what else you want to do with that day. Wanting to fit your visit to mouseland into a day with some other activities? Then getting to and from the park efficiently is an important part of your trip. There are several ways, but each of them will allow you to fit in more than one activity if you are working to a tight schedule. 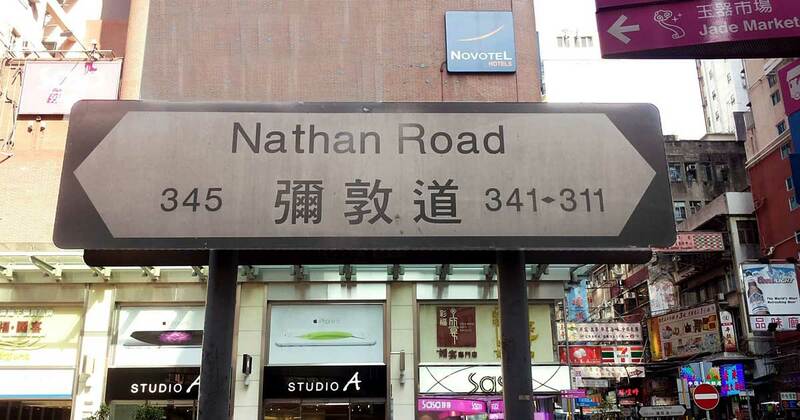 Nathan Road in Kowloon goes from near the tip of the Kowloon peninsular directly north splitting the tourist district of Tsim Sha Tsui into two. The southern stretch that is packed with high-end shops is often called the Golden Mile, but in fact, the whole road has great shopping just of different types in different areas. If you are staying on Nathan Road or just doing some shopping or eating in one of the many restaurants there and want to go to Disneyland then you have some choices. First of all consider simply taking a taxi there, it is only about 20km and as a lot of the distance is good wide roads of near highway quality the total trip will be less than half an hour. The cost will be a little over HK$200. With up to 5 people in a taxi that works out to a very reasonable price-per-person, you get door-to-door service and a chance to see the scenery out of the window for the whole trip. The one big down side is that you miss that 6 minute trip on the Disneyland MTR line which allows you to take the Mickey themed train and arrive at the Sisney train station directly outside the park entrance. Public transport such as busses and trains are possible but they are no where near as fast as a taxi. The best public transport option is to go by MTR, but this will take almost twice as long as by road, of course it is quite a bit cheaper though. At HK$20 per adult (when paid by Octopus card) and kids half price amounts to half the price of a taxi even if you fill the taxi to maximum occupancy. Whether the cost saving is worth the half hour of your holiday time is up to you to decide. The route by MTR is simple. Starting along Nathan Road, go into the train system either at Tsim Sha Tsui Station, if you are near the southern tip of Kowloon, or Tsim Sha Tsui East Station if you are on the east side, then take the Tuen Wan line to Lai King Station or the West Rail to Nam Cheong and at either of those transfer to the Tung Chung Line. Once on the Tung Chung it is only a short trip to the Sunny Bay Station which is the junction with the Disneyland Resort Line, and from there the trip is obvious and you can’t get lost. The lovely Disneyland MTR station opens out onto a wide pathway which you follow on a 2 minute walk to the actual entrance gates. There is also a lovely public park all the way around the theme park with access to the sea, and a pier, the hotels and the large artificial Inspiration Lake. Most of which is deserted of course as people don’t come all this way to walk around outside! Finished exploring Disneyland and want to visit Victoria Peak as well? If you have had a whole day trip to Disney then finishing off with the view from the peak would be a great “peak” to your day! The views from Victoria Peak at night are world famous and the bright lights never go out so it doesn’t matter how late you go there. 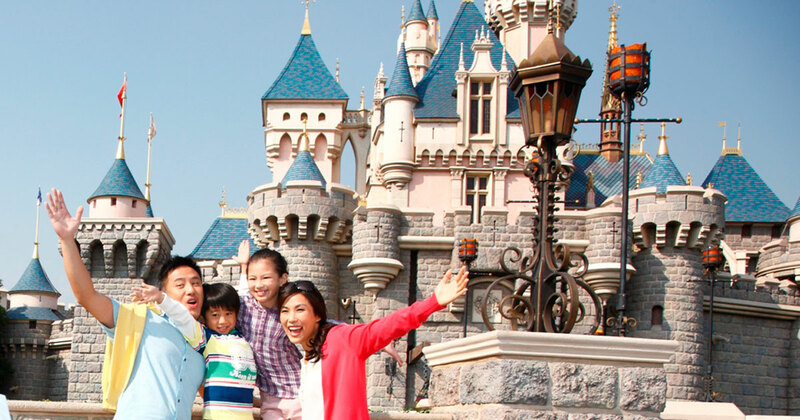 A day at Disney followed by a Dinner on the Peak would be a well packed Hong Kong sightseeing day. The Peak Tram runs until midnight, and a visit during the later part of the day can help you to avoid the very long queues that do dampen the experience for many who arrive at busy times. The last parade at Disneyland being at 8pm most days and they don’t hurry you to leave, so if you left around 8:30pm and travelled unhurriedly to the Victoria Peak Tram lower terminus you would arrive at around 9:30pm. By which time there will be little or no queue for the tram. Admittedly this means no dinner until 10pm but if you have filled yourself with snacks like Mickey waffles all day at Disneyland then that might be fine! Don’t delay though as some eateries such as Wildfire and Bubba Gump in the Peak Tower close at 11pm. 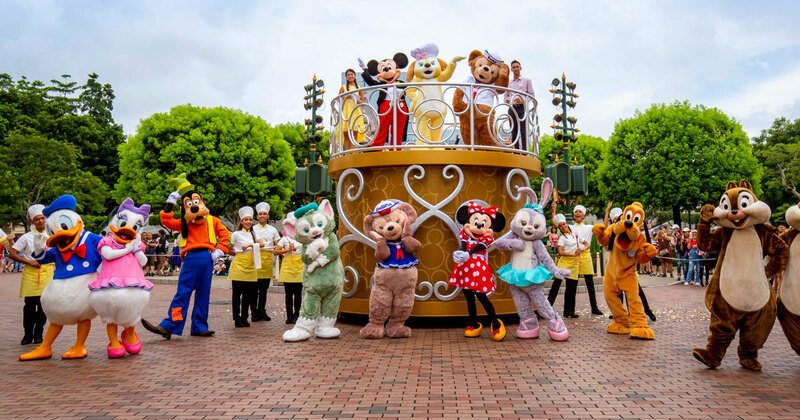 To take this itinerary leave Disneyland using the MTR and make your way from the Disneyland Resort line through to the junction at Sunny Bay station where you change to the Tung Chung line going south, towards Hong Kong station. Take a taxi from the MTR station to the lower Peak tram terminus, make sure you tell the driver you want to go to the Garden Road Peak Tram Terminus (花園道站), to stop the driver trying to take you all the way to the top in one winding and expensive taxi ride you didn’t want! Alternatively get out of Hong Kong station and find the number 22 Green Mini Bus (GMB). You can catch the bus from Harbour View Street, which despite the name has no view of the harbour whatsoever! It is a rather dark passage at ground level in between IFC Mall and Exchange square where you can get taxis as well as mini busses. The minibus will stop on the main road outside the tram station. This choice makes more sense if you are earlier in the day though as the GMB are not frequent later in the evening. If you plan on visiting the Big Buddha on Lantau, perhaps via the Ngong Ping 360 cable car, and combining that with your trip to Disney then what is the best route to take? At first it seems that this should be a no-brainer combination, as they are both on Lantau island and geographically quite close. So, why not see both sights on one day? While it is certainly doable this is not quite as simple as it may seem. The problem is that Lantau is the largest island of Hong Kong, and one of the least developed of the populated islands, with transport options being rather limited. Despite having the airport, Disneyland, the Big Buddha as well as Mui Wo, Discovery Bay and Tai O fishing village all on the island it can be hard to get from one destination to the other. If you want to get directly from Disneyland and go straight to see the Big Buddha, correctly called the Tian Tan Buddha at Po Lin Monastery, then your best bet is a hired car or taxi. The taxi ranks are close to the exit, once you go out the gate walk on past the MTR and turn left and continue past the guest relations building and the taxi ranks are on the right. Make sure you get the right kind of taxi, because what you want is a blue Lantau taxi. Despite the popular image of HK taxis always being red there are in fact three types: red, green and blue. The blue taxi is a Lantau taxi and will get you a driver who knows his way around the island, and is quite a bit cheaper than the red taxis which are normally restricted to the urban areas. They are allowed an exception to go to the airport or Disney but otherwise you won’t find them on Lantau. Rather use public transport? Then your options are trains, bus and cable car, a bit of each will take you where you need to go. 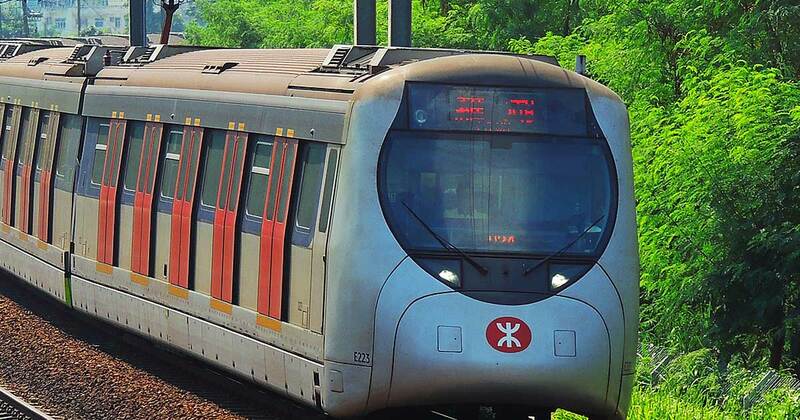 Use the MTR to get back to Sunny Bay station and hop onto the Tung Chung line again, this time continuing on towards the new town of Tung Chung, which is close right beside the airport. 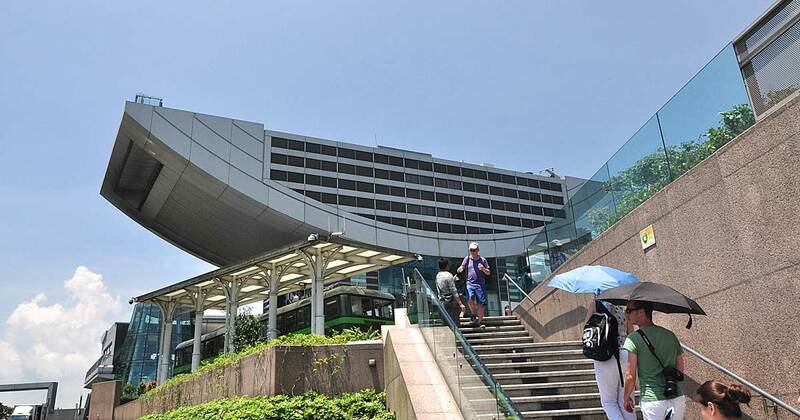 At Tung Chung it is a 10 minute walk to the Ngong Ping 360 cable car station, you might want to take a detour through the Fashion Outlet malls at CityGate which are right beside the MTR station, but don’t get too distracted by the discounts on offer! The cable car is an attraction in its own right of course, the 25 minute trip over the north Lantau countryside with great views of the airport, the bay and the city in the distance. Do check carefully before you choose this route though because the Ngong Ping cable car is one of the less reliable systems in Hong Kong. While there is no suggestion it is dangerous, there is a problem with the fact that it does stop for maintenance far more than would seem necessary. The Ocean Park cable car by comparison seems to always be running. On the majority of days when it is running though it is a great trip. As the Big Buddha is open only from 10am until 5:30pm you have to choose how to fit it in with a day at Disney, if you only stay in the park until early afternoon you can still make it to the Buddha in time to see it and take some pictures. On the other hand an early trip to Buddha combined with an early lunch at the attached Po Lin Monastery may be a better choice. That will allow you to spend the later part of the day at Disney which includes the very pleasant evening time when things quieten down and are much cooler and relaxed. When visiting the Buddha remember that the Po Lin Monastery is a real residential monastery with resident monks, so should be treated with respect. It is not like the “10 thousand Buddha monastery” attraction in Shatin which has no monks and is really only a set of shrines. The short branch line of the MTR that connects the Tung Chung line to Disneyland is called the Disneyland Resort Line and is only a 6 minute trip, the trains on this line are fully automated and have no drivers and no train staff are required on board. Riding the line is a good part of the park experience if you can include it, and if you are taking a taxi or hire car from the city and have a little time to spare then do consider asking the driver to take you only as far as the Sunny Bay station. Then you can board the train for the short trip to start your immersion in the the mouse’s world. The transition from the very high tech sci-fi style of the Sunny Bay station, then into the mouse-eared train carriages, and finally arriving at the mock Victorian cartoon Disneyland Resort station is a lovely segue from the real world into the park. If you think you hear Adriana Caselotti singing then you are right! That is her voice as Snow White in the Grotto. 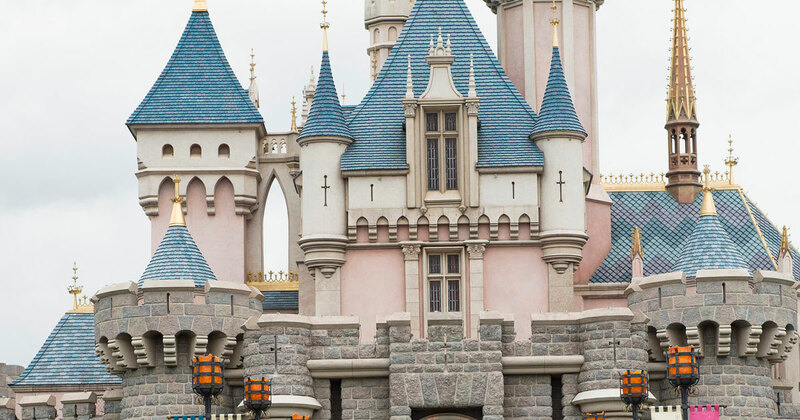 Although HK Disneyland is smaller than that in other countries, the Adventureland section is the biggest Adventureland of any Magic Kingdom park around the world. 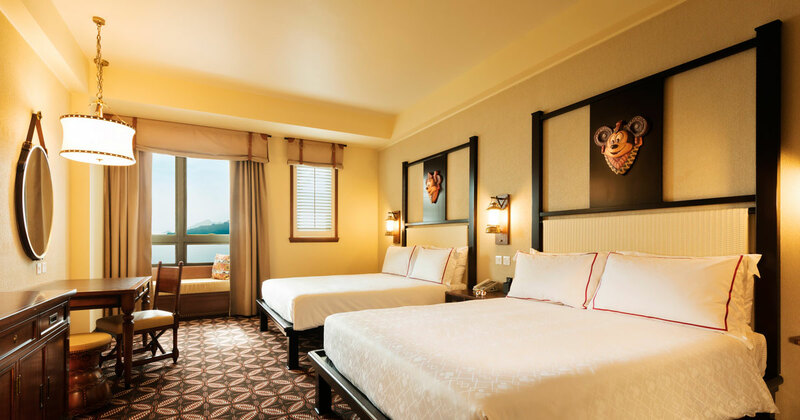 Disneyland Hong Kong isn’t just the theme park, the whole area which is known as the “Resort” also includes three places you can stay. These three hotels are all run by Disney and have that high standard of customer service you would expect, and includes frequent references to Disney characters and movies. The smallest of the hotels at only 400 rooms it extends the cartoon Victorian theme that you meet at the railway station and in parts of Main Street. With decorative ironwork, wood panelling and comfortable furniture it also boasts 5 restaurants. The kids will love the buffet dinner attended by the Disney characters as well as both indoor and outdoor pools. The newest of the hotels at the park this hotel takes a new approach with connections to explorers from Disney movies. 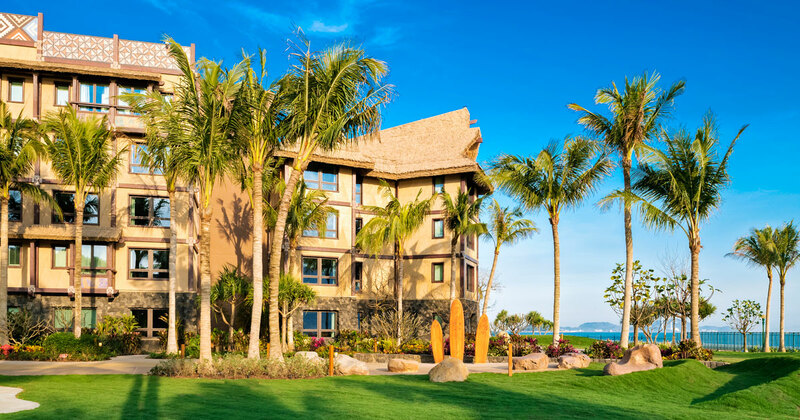 You will also find four different gardens expressing four continents, three restaurants and an outdoor pool. The hotel lets you purchase additional decoration packages to make your room themed. For example you can have an Iron Man decoration pack, or a Disney Princess pack. Check out the Halloween one which has lots of great extras but is only available near October. The Lodge is also the largest of the hotels at 750 rooms. Harking back to the Golden Age of the 1950’s Hollywood where everything was “modern” this 600 room hotel feels like a visit to a movie studio. The three restaurants provide a range of dining choices and the outdoor pool shaped like a piano reminds you of something a Hollywood star might have had in LA. The hotel is the cheapest of the three options for accommodation, and the furthest away from the park entrance. The lack of room service in the hotel is a strange omission but won’t be missed if you eat in the restaurants anyway. Guests in any of the hotels will receive free access to the public areas of the other hotels. And guests also get easier access to the Park through a dedicated entrance, as well as priority passes to some rides and attractions. How many passes you get depends on what type of room you are staying in but varies from 1 to 4. Note that staying in a Disney hotel does not in itself get you access to the Disneyland park, you still have to buy tickets for the park. However there are of course deals you can get where you book a hotel room and park ticket combination to get a great discount on the ticket. There are over 30 different rides or attractions in the park, from small ones that toddlers will appreciate visting to the big roller coaster at Hyperspace Mountain that many adults would rather not ride! Hyperspace Mountain – A roller coaster in disguise. This trip through a dark Star Wars themed tunnel in Tomorrowland. As one of the more popular rides the Fastpass system is used to avoid excessive queuing, but you’ll still spend some time waiting most days. Runaway Mine Cars – In the Grizzly Gulch this outdoor rail car involves big drops and a forest theme. RC Racer – Despite being in Toy Story Land this outdoor track has big drops and is not suitable for the smaller kids. Riders have to be at least 120cm height in order to take this ride. Parachute Drop – Again in Tory Story land this smaller ride is suitable for the youngsters as they go round and round and up and down in a camouflage toy-soldier themed ride. Want to see something that you won’t find in another Disneyland? You have one choice, the Mystic Manor which is the HK alternative to the Haunted House which Disney felt wouldn’t fit with the Asian sensibilities about ghosts and such. Given that Halloween festivities have now become a big draw at Disneyland Hong Kong this was probably a miscalculation, but despite that it has given HK this unique attraction. 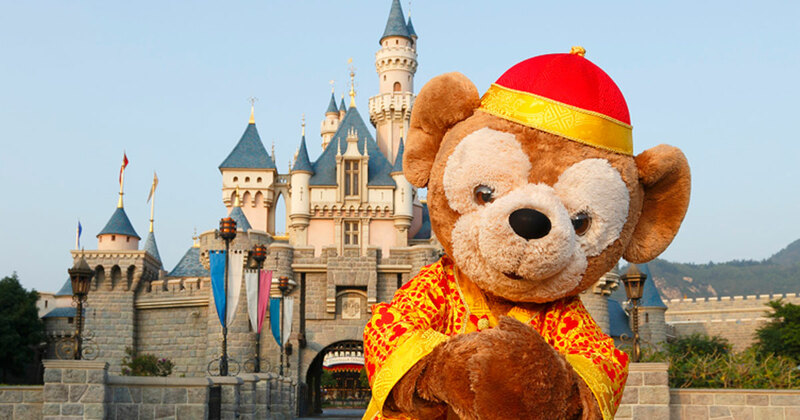 Considering whether a trip to Hong Kong Disneyland is a good choice for you? Check out some third party reviews to see what others think of their experience there. Click the links to go to each review site and read some of the details to see what people experienced. There are park tickets, fast pass tickets to rides, and priority passes to rides. You can buy digital “etickets” either directly from Disney website or from vendors like Klook. These electronic tickets are a QR code which you can show at the entrance on your phone or printed on paper. The electronic ticket entitles you to get a number of “fast pass” tickets to skip the lines on three specific rides: Hyperspace Mountain, The Many Adventures of Winnie the Pooh, and Iron Man Experience. Want to visit Disneyland repeatedly then an annual membership might be the right thing for you. Called a Magic Access membership these come in three levels. Platinum, Gold and Silver, each with a different level of benefits and of course costs. The top level of Platinum is about HK$3,500 and gives one adult access on any day of the year, the other levels give fewer days access with only 220 days available for those holding the Silver card. This cheaper card costs only about $1,300 but isn’t great for working people who are not available to go on week days. Prices for children from 3 to 11 are about 70% of adult prices, and the same applies for students up to the age of 25. Senior citizens pay about about 25% of the regular price for their annual passes. Black out dates do apply to the Gold and Silver memberships, but not the platinum. 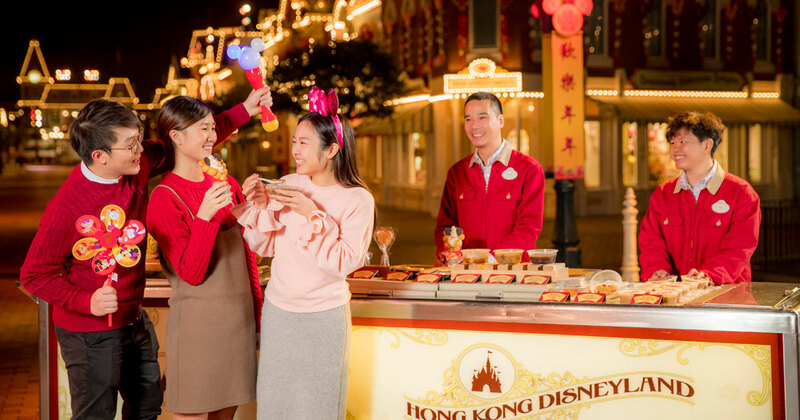 Tickets for Hong Kong Disneyland are available through a number of different channels, with discounts available of different levels depending on which vendor you go to. Look for discounted tickets first at the China Travel Service desk at the airport, or in the city. If tickets are available they should be at a HK$100 discount but there is a limited supply of tickets and they are not always in stock for days you might want to visit. Different online vendors have different prices and the discounts vary from time to time so check out a range to see which are the best. Two types of package deals are available for Disneyland entry tickets. Firstly you can buy entry tickets together with a meal voucher to get discounts on set meals from restaurants within the park. Another kind of package is where you book a hotel room and get a discounted park entrance as part of the same deal. For meal packages you can buy them either directly through the Disney website, or from Klook. At Klook a basic meal package is currently HK$92 and that gets you a main meal which could be worth up to HK$149. A three in one lunch/dinner/snack coupon gives similar extra value. One thing to watch out for with meal coupons is that the online one you get needs to be swapped for a physical voucher when you get to the park before you enter the gates. That’s another reason for getting their a bit early if you are aiming for a morning visit. If you are staying in the hotel at Disney then consider a “Room and 1-Day Ticket Package” which, despite the name, includes two adult entry tickets in the price with the room, but only for a single day. With many different offers available from a range of vendors it is worth spending some time researching which deals make best sense for you. 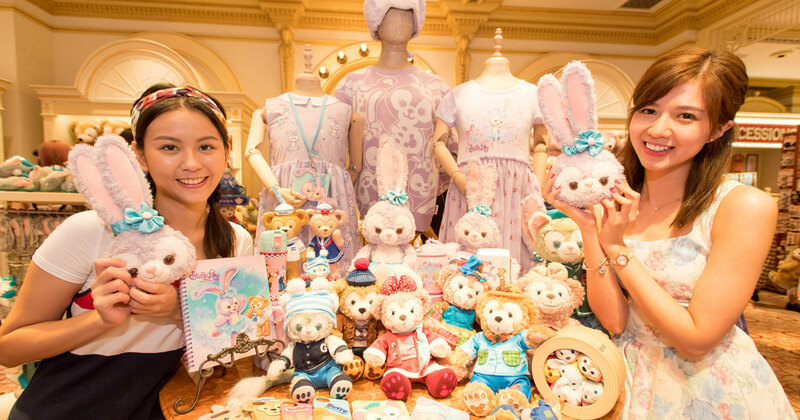 As well as the combination packages and deals for buying things in advance the Hong Kong Disneyland also has some special offers specifically for Hong Kong residents. 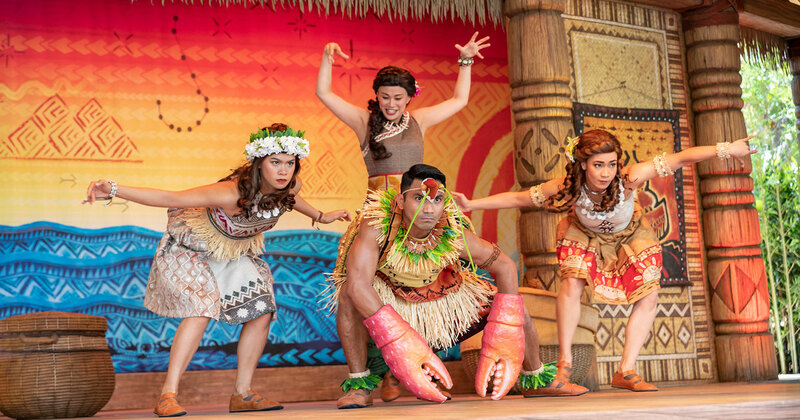 The deals vary from time to time but include 2-for-1 deals for day tickets, where you get a ticket for today and another one for later in the year, or discounts on meals and Disney products in the shops. The main gates open at 10:00am which is why getting there ate 9:45 is a great way to have a head start at viewing all the different attractions. About half of the attractions and rides open at 10:30, with meet the character opportunities at the same time. Skipping these and going straight to the rides would give you a chance to avoid some queues. Other rides open in phases through 11:00am and finally the last rides open at noon. Fantasy Gardens and seasonal activities such as Halloween are among the last to open. Those with Magic Access membership get access to the park at any time, except for specified blackout dates. The most efficient way to see the blackout calendar is to download the official mobile app. But generally there is a pattern you can follow to understand the intention of the calendar. Platinum Magic Access card holders have no blackout dates. Holders of the Golden Magic membership have access for most days, except those peak days such as Chinese New Year, Easter weekend and Christmas. If you are a Silver Magic access member though there are a lot more limitations. As well as the blocked dates described above you will also find that all weekends, every Hong Kong public holiday and even the first two weeks in August are excluded. 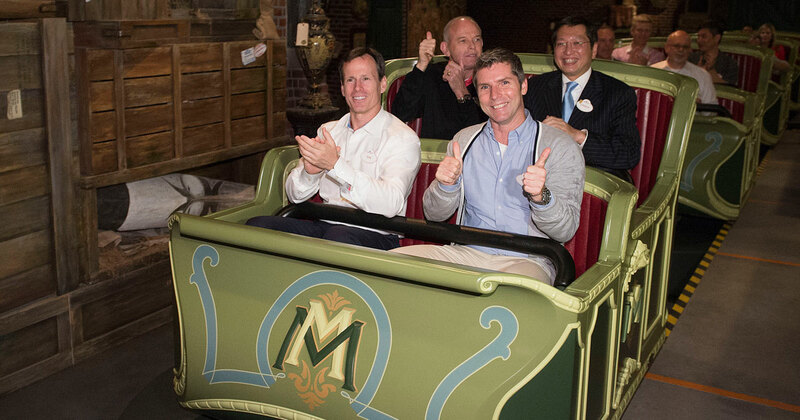 Here is what we’ve written about Disneyland Hong Kong in the past. 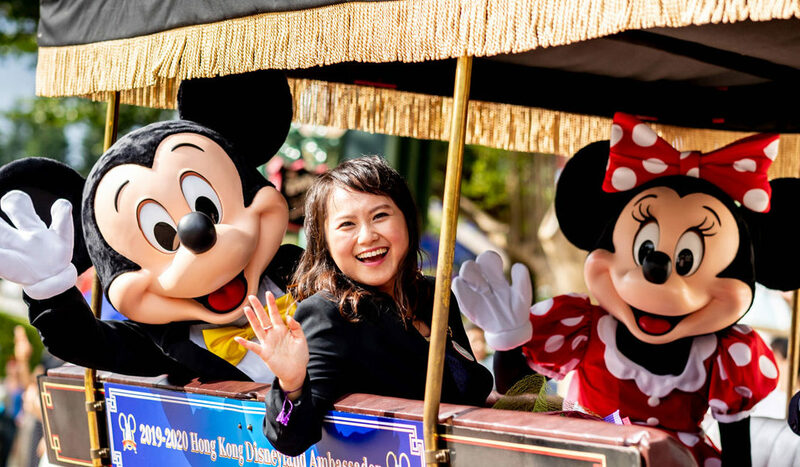 The HongKong Disneyland experienced a drop in visitors last year, a bigger drop than expected for a second season theme park. HK Disneyland was trying very hard for the past Halloween and Christmas and it’s said that the no. of visitors has risen again. As I worried three years ago, the introduction of Disneyland may kill the business of the 30-year old Ocean Park, a theme park that I grow up with. Luckily Ocean Park is trying very hard and it seems to manage. After all, I enjoy seeing the various marine life, birds and panda again and again more than the poor guys and girls who dress like Micky Mouse and Minnie Mouse. 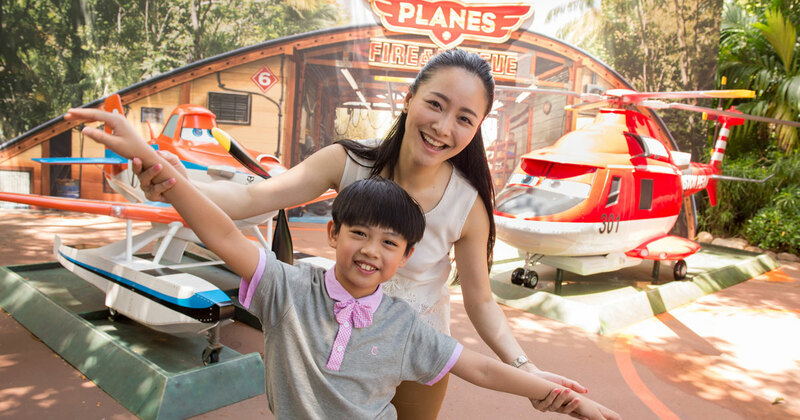 To celebrate the 10th anniversary of the establishment of the Hong Kong SAR Government, Hong Kong Disneyland has offered all the kids who were born in 1997 an Disneyland annual pass for free. Just bring along your birth certificate to Disneyland and you can apply one for free. The catch? No children go on their own right? Parent have to either get a pass for themselves or pay the admission fee each time they visit. It doesn’t exist yet — it’s a construction site on Lantau — but when it’s finished this will be the second Disneyland in Asia, the first near China, and the cheapest in the world! I understand the parks in other countries have more sections, but this is all that the Hong Kong park will have according to the current plan. First announced in 1999 this is a joint venture between Walt Disney and the Hong Kong government. Basically Hong Kong provides the land an Disney provides the know-how, at least that’s how I read it. The expected opening day is 12th Sep 2005. Can you imagine the queues there will be on that day! I think I’ll wait a few months for the place to calm down before I go. They are doing it in a phased approach, Phase One is going to have two hotels and the main parts of the park. I’m not sure what will be in the second part. Prices will be HK$295 per adult during the week and $350 on peak days and weekends. That’s interesting because it means they are expecting more traffic during the weekends — I would have thought that most of the visitors will be tourists who can go any time. Kids under three get in for free while older kids will have to pay $210 or $250 — that’s up to 11 years old. After that it’s adult pricing. I’m afraid this is going to be the end of Ocean Park — Hong Kong can’t support two theme parks. They have already started to take bookings for the two hotels they are building; Hong Kong Disneyland Hotel and Disney’s Hollywood Hotel. These are not cheap at all, but are in the high — though not the highest — price range for Hong Kong.